All-new model set to be unveiled next month. For nearly a century, the Phantom has been the flagship luxury car in the Rolls-Royce range. 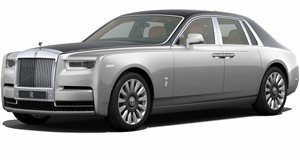 After 13 years of serving the rich, the current VII Phantom is finally getting a long overdue replacement with modern underpinnings. Rather than using a popular motor show as a backdrop, in typical Rolls-Royce fashion the luxury automaker will be revealing the new Phantom in July at a prestigious exhibition at Mayfair in London, where its ancestors will also be on display spanning seven generations and 92 years since the Phantom was first introduced in 1925. The event is being dubbed ‘The Great Eight Phantoms’ and will take place on July 27. Between now and the start of the event, Rolls-Royce will be showcasing some of the most famous examples of each Phantom generation, starting with the 1925 ‘The Fred Astaire Phantom I’ which is currently on display at the Petersen Museum in Los Angeles. The first teaser offers a brief glimpse at the new Phantom’s revised front grille to show how the Spirit of Ecstasy has evolved since the original, as well as a look at the lovingly detailed wooden dashboard. From what we’ve seen in spy shots, the new Rolls-Royce Phantom won’t look drastically different to its predecessors to retain its identity and will most likely keep the previous model’s 6.7-liter V12. It will, however, be underpinned by a new all-aluminium platform sourced from the BMW 7 Series. This of course means the new Phantom will be much lighter, so you should be able to approach corners with more confidence than before.